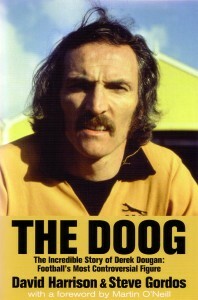 The Doog (Know The Score Books, £18.99), by David Harrison and Steve Gordos. 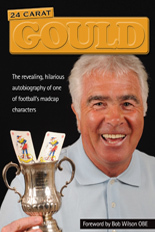 To the many books written by Derek Dougan, we can now add an evocative 208-page, hard-back biography of him, penned by journalists David Harrison and Steve Gordos. The Wolverhampton-based co-authors spoke to www.wolvesheroes.com about their publication, which has been nominated for a Sports Book of the Year award. Question: First things first, there has been criticism in some circles that the book is almost too revealing; that too many skeletons are being rattled around in cupboards. Is that fair comment? Steve Gordos: I only know second or third hand of any criticism, from London Wolves. They have not been in touch with me, nor have they complained to the publisher, so it is difficult to answer criticisms which are so vague. I don’t know of any other sources who have criticised the book on the grounds of skeleton-rattling. David Wagstaffe has just written a fine book about his time with Wolves and he certainly pulled no punches where Bill McGarry was concerned. Did anyone take him to task? David Harrison: The only criticism I am aware of is from London Wolves, who I understand are supporting another biography. Otherwise the feedback has been 100 per cent positive, especially from the Wolves fans who have approached me and said how much they enjoyed it. All reviews have been glowing and all the contributors are delighted with its content. What the book has done is reveal the many different facets of the Doog’s life. The book contains many sections that are praising of the Doog’s life and times. But was it easy for you, as Wolves fans, to produce some passages of text that would be perceived as detrimental to his reputation? Gordos: If someone wants to do a book on Derek as seen through rose-tinted spectacles, they are quite at liberty to do so. However, we wanted to delve more deeply, especially as there were incidents in his life that left questions unanswered. I hope we also paid due respect to his PFA work, the way he improved the status of players and his continuing work to improve the lot of ex-players at the time of his death. Being Wolves fans probably helped us appreciate Doog’s ability on the pitch but I don’t accept that you should never write anything detrimental for that reason. Harrison: We set out to present a rounded picture of his life and career and I think we achieved that. Anyone who knew Derek – and both Steve and I were associated with him for well over 30 years – will appreciate that he was a complicated, contradictory character who could stir a range of emotions. Any attempt to airbrush the areas of his life that were not particularly flattering would have been a failure to give a complete portrait. 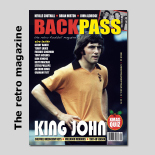 Our starting point was not as Wolves fans but as journalists who wanted to present an accurate story of his career as a player, personality and administrator. What we uncovered in no way diminished my view of the Doog’s reputation as a footballer and of someone I personally hero-worshipped from the North Bank. 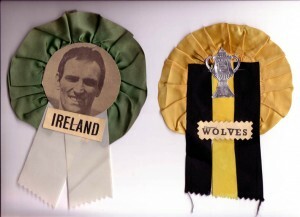 Two subjects very close to his heart - Wolverhampton Wanderers and a united Ireland. Were you surprised by any of the information that came to light in your interviews with his former team-mates, associates, partners or whatever? Gordos: Not really but we did uncover things which put the record straight – sometimes in Doog’s favour and, in other instances, to his detriment. He was a talented footballer and a complex individual. If you are going to paint a broad picture of the man, you have to include the bad and the good. Harrison: No-one should ever be surprised about anything to do with the Doog. Between us, we spent hours in conversation with people who really knew him and they gave us honest opinions – good, bad and ugly. Many admired him, some came to despise him, others loved and hated him but, by common consent, he was unavoidably larger than life. In his more rational moments, even he would admit he wasn’t a saint. You must be very satisfied that the net you spread reached so many individuals. High-profile individuals at that. It appears to have been a very thorough piece of research. Gordos: Interviews with Nigel Pearson about the Duncan Edwards Appeal, Bobby Thomson about the fatal car accident, John Richards on why he fell out with Doog, Graham Hawkins on his time as manager under Doog, directors Doug Hope and Roger Hipkiss on Doog the MD and, most of all, the story from Doog’s wife of what life with him was like – all these things painted a fuller picture of the man. These people were going on record for the first time about Doog and they are the people who knew him best. The revelation from Jutta Dougan made his sudden death all the more poignant. Harrison: We tried to cover as wide an area as possible and, with one notable exception, people were very forthcoming and forthright. We did not have to cajole to obtain information. Everyone gave their time and opinions willingly. Any contentious subject matter was checked and double-checked with those concerned. Even those people who found it necessary to criticise Dougan had their own fond memories of him. That, in fact, sums up the whole nature of the beast. Has your opinion of Derek been changed by any of the information that has come to light since his death, be it from your work or from the many other pieces that have been written about him? Gordos: I think I had a pretty open mind about Derek before we did the book. We knew he was a superb footballer but also that there was so much more to him. He was one hell of a character and we tried to convey that. Harrison: There were many new aspects of his life that came to light but it would be wrong here to give too many details. Anyone who is interested in finding out some of the new revealing material should buy the book. Are you happy with how the final product reads and looks, and with its marketing by the publishers, Know The Score Books? Gordos: I have rarely written anything which, on re-reading, I did not think could have been improved upon but overall I am pleased. The marketing is down to the publisher and he has rightly drawn attention to the book as a story of a football legend whose life was far from ordinary. One strange side-issue was how my old paper have completely overlooked the book – something their readers must have found odd. Harrison: Yes, delighted. The design was good, the picture content excellent, mainly due to his widow Jutta opening up her family album to us, and the cover had impact. Know The Score Books have marketed it excellently and we have had great coverage in newspapers and on radio – with the exception of the Express & Star, who, for reasons known only to themselves, chose to completely ignore a publication about one of the great local characters of modern times. What is your view of the suggestion that an ‘official’ account of his life – one he had apparently started himself – might still be penned elsewhere? Gordos: Derek had already written several books about his career. We spoke to his wife and son, which makes ours pretty official. Harrison: How much more official and authoritative can a publication be than one which contains the thoughts and memories of the woman who was his wife for over 40 years, the views of one of his sons, and interviews with a large cross section of his former club and international colleagues and business associates? I would suggest that any further attempt to tell his story will be a pale imitation of the one we have provided in The Doog. 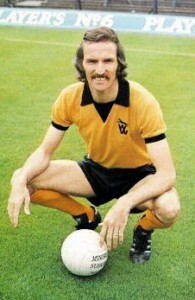 As many Wolves fans remember him. Is there room on the market for another book about him? Gordos: Why not? The more the merrier. How many books have been written about George Best? A character as complex as Doog will always be a great subject for a book and if someone wants to write another, good luck to them. Harrison: Anyone can write a book but, for it to be successful, it needs to be original. I doubt whether another book about Doog can be such a true and honest appraisal of his life as ours. * The Doog is available from Wolves’ usual media outlets, from Know The Score Books or by emailing info@thomaspublications.co.uk for purchase details. Posted on: Friday, October 31st, 2008.